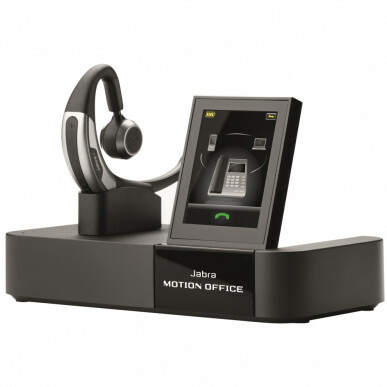 The long awaited Jabra Motion Office is here - this is the replacement for the Jabra GO 6470. 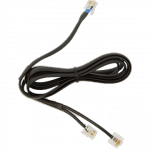 One headset to rule them all and hold dominion over your mobile, tablet, PC or laptop as well as your traditional desk phone. 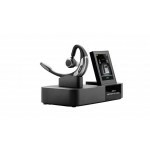 Other tri-fecta headsets such as the Jabra Pro 9470 and Plantronics W700 series only work in the office but the actual headset part of the Motion Office is Bluetooth so it works out of the office and has all the latest technology for ease of use and great sound. 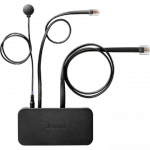 If you’re looking to answer calls away from your desk you'll need a GN1000 handset lifter or an Electronic Hook Switch (aka Jabra Link) depending on the phone you have (call our staff for assistance). 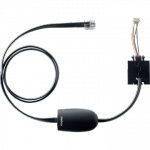 The GN1000 fits on your telephone base and lifts the hand piece up or down when you push a button on your headset, letting you answer and hang up on calls from anywhere in the office. Just add the headset to your cart, follow the prompts to get a lifter and enter your model phone and our clever nanobots will tell you exactly what you need. If your phone isn't on our list, just give our friendly staff a call and they shall work it out for you. 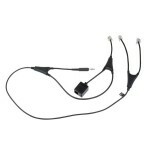 If you are in and out of the office and only want to choose one headset, this is it. If you bought a great mobile headset like the Voyager Legend UC you’d be up for around $200. Then when you factor in buying a good office wireless headset (say for around $275) you’re at around the same money but then you have two headsets for everything – not one. The Motion Office will do everything for you and it looks good too! The amount of tech ploughed into this headset is stunning; NFC for one touch pairing - just tap the headset to your (NFC enabled) mobile or tablet and BOOM - it's paired. Answering a call? Just put the headset on and start speaking. Of course you could also use the voice controls to answer if you prefer. 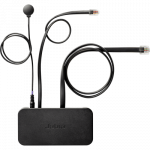 In the office the Motion lives up to it's name and will give you a phenomenal 100m reception range (exceptional for a Bluetooth device), and outside you’ll be able to roam 25m away from your mobile phone. There’s even a 100 hour standby time and super-quick 50 minute full battery charge. 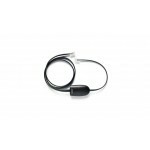 As a Bluetooth device the Office will connect to any computer, iPad, iPhone, smart device or technology that is Bluetooth compatible. This means you can use it almost anywhere. Finally, there’s one good quality headset for everything in and out of the office! 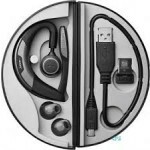 The headset also comes with a carry pouch, USB charging cable and Link 360 USB dongle so it's perfect for travel. because the Motion Office can connect to your computer, it means that any music you have saved on your PC can also be listened to through the computer mode of the headset. Having some personal music to listen to quietly and discreetly is a great little bonus for staff. As soon as a call comes in and you pick up the call, the music stops. When you hang up the call you simply touch the computer icon on screen and the music starts again. How cool is that? Set-up is a breeze and it’s as simple as following the Smart Set-Up Wizard on the touch screen. 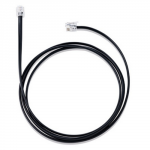 Pull it out of the box and even the most technologically challenged among us will be using it within minutes. It is that clever and that simple. 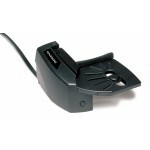 But remember, if you’re looking to answer calls away from your desk you’ll need to buy a remote lifter (GN 1000 lifter in the accessories tab. If you have a modern phone, give us a call to check compatibility). 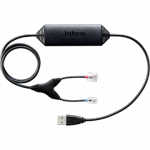 The limitations are not within the Jabra Motion Office per se, but more about Bluetooth technology in general. In an office, a Bluetooth device is never quite as good as a wireless DECT 6.0 technology. That said, this is the latest and greatest (as at May 2014) model with all the technology possible for the best quality sound. So unless you need more than the 100m range and 8 hour talk time, you can ignore the previous paragraph. 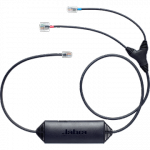 But if you do, either buy the Jabra Pro 9470 (for use with your mobile inside the office only) or buy 2 different headsets – one for your mobile and another for your computer/office. 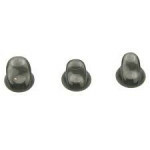 The Office has just one wearing style, it's an unusual (but comfortable and stable) over and under ear model with ear gels. Sorry, no headband option. This headset has an adjustment we've not come across before - you can adjust the length of the part that goes from the top of your ear down to the part that goes in your ear. So if you have larger or smaller ears and have problems getting the right fit in over the ear headsets, this may be the answer to your prayers! 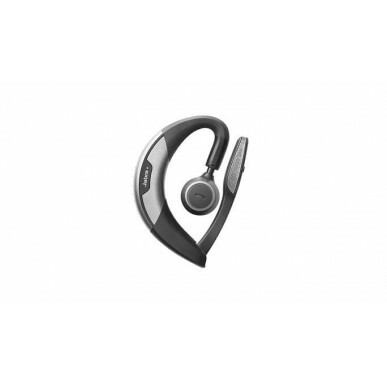 If you don’t need the mobile phone functionality at all then save your money and buy the very good Jabra Pro 9450. 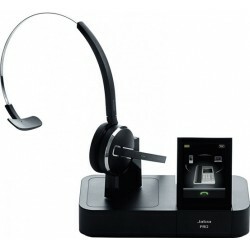 Or if you’re not a Jabra brand loyalist then the latest Sennheiser DW Office is an absolute standout. 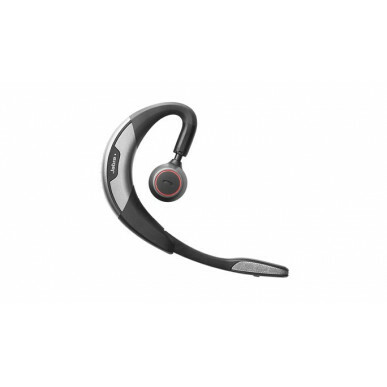 If you don't need the PC connectivity, but need mobile and desk phones, the Jabra Pro 925.Jabra Pro 925 is a great value headband option. If you don’t want to use it on the road but still want the 3-in-one flexibility on the office, then the Jabra Pro 9470 has the same touch screen interface, plus it has superior wireless DECT 6.0 technology, not Bluetooth. In this case you’d also put the Plantronics Savi W700 series in the mix. No matter which of these leading headsets you choose, you’ll change the way you work forever! two words: GET ONE. this is just a completely solid wireless set. In all areas. I've never had an issue in 17 months! I installed this about 2 weeks ago and its been amazing. 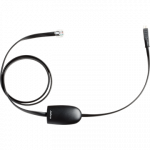 The range is long, instantly connects when switching from device to headset, clear sounds. Doesn't fit as well as an overhead headset but still light and comfortable.